A little bit of a lemon theme this week, as I received lots of fat, juicy lemons fresh off Donna's tree. Thank you Donna! Summer is coming, remember those hot, sunny days, that include picnics and barbecues and outdoor sports; thirsty days! 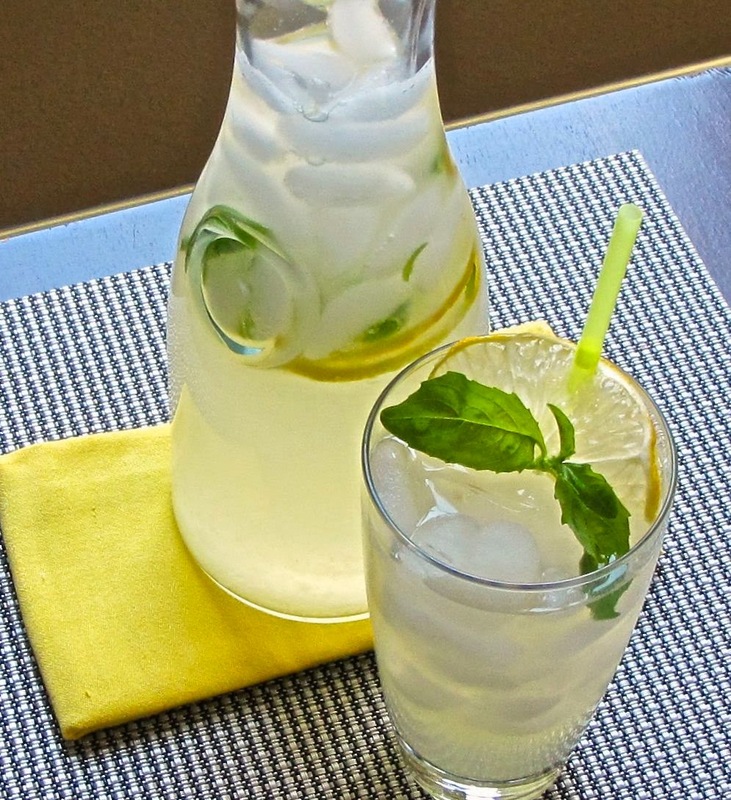 We love lemonade but decided to try basil lemonade and it was a hit. This summer I am also going to try rosemary and also a lavender lemonade. Additional fruit, especially berries would also bring another sweetness and flavor. Let me know what you have tried. In a small saucepan "muddle" basil leaves and sugar together. Add water and bring to a boil, stirring until sugar is dissolved. Let stand at room temperature for an hour to steep. Strain syrup through sieve, pressing on basil to get all the syrup. Discard basil leaves. In a large pitcher mix basil syrup, water, ice and lemon juice. Stir well, check for sweetness, adding more syrup or lemon juice as desired.